What Exactly is a Blizzard? Many blizzards are associated with rapidly intensifying cyclones known as bombs which produce strong winds. If snow is present in the area where the strongest winds are occurring, blizzard conditions may result. Blizzards can occur either while snowfall is happening or after it has fallen. When winds are strong, they can cause blowing snow and low visibilities. But what exactly is a blizzard? According to the National Weather Service (NWS), for an event to be classified as such, blowing snow needs to reduce visibilities to 1/4 mile or less, and sustained winds or frequent gusts are at least 35 mph for at least three hours. Blizzard Warnings are usually issued by the NWS 12-18 hours before the onset. The word "blizzard" was first used in the 1870s to describe a storm in Iowa. In the 1880s the term became more widespread. Since then, there have been seven significant blizzards across the US dating back to as early as 1888 when a storm paralyzed New York City and Boston causing snow drifts as high as 50 feet. Perhaps one of the more notable blizzards in recent history is the 1993 Storm of the Century that affected much of the East Coast. Low visibilities due to blowing snow can make traveling difficult. However, these conditions do not always constitute classifying an event as a blizzard. 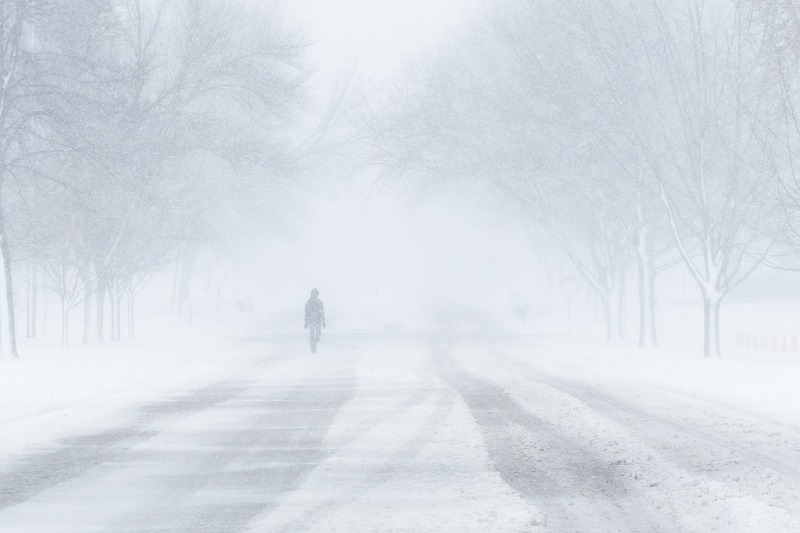 In the US, blizzards occur in any part of the country except for the California and Gulf Coasts, but they are most common in the Plains and Upper Midwest. Understanding the formal definition can help you understand why a particular event was or was not classified as a blizzard.